Prof Bogdan Chazan is clinical professor and gynecologist-obstetrician, dedicated to spreading the truth about the blessings of children and the harm of contraception. He is author of "Biological Effects of Exposure to Electromagnetic Fields on Human Development and Reproduction: Experimental and Epidemiological Studies", editor and co-editor of various books in obstetrics and gynecology field. 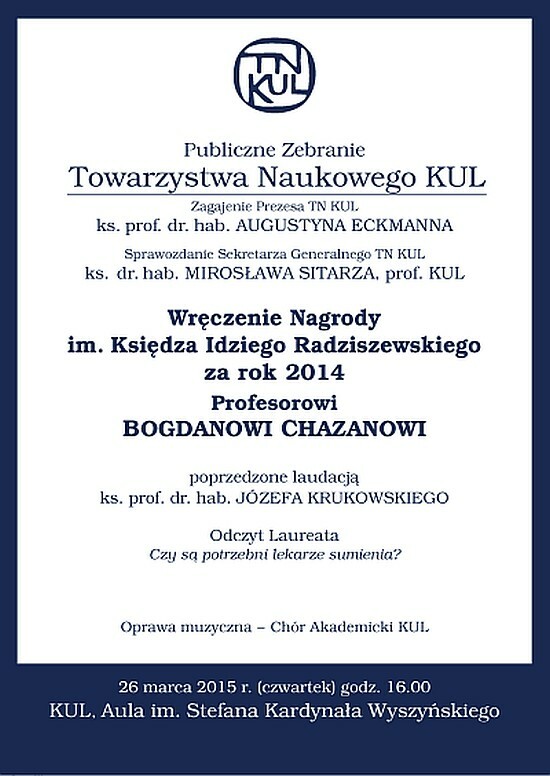 Prof. Chazan is the one of the authors of "Faces of Fatherhood" - a monography issued by the Learned Society of the John Paul II Catholic University of Lublin.